Sharing Kyoto's writers went to Kangetsu no Yube moon viewing party to view and bark at the moon! With the hot summer coming to a close, the refreshing breeze of autumn is in the air. A signature sight of Japanese autumn is moon-viewing. 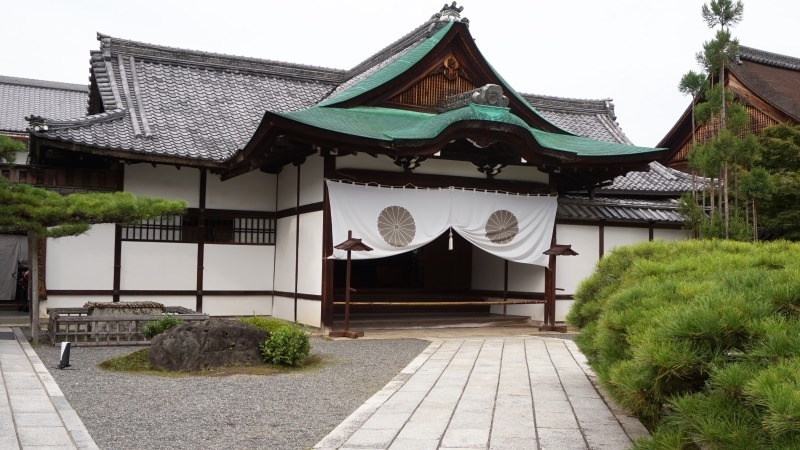 As we enter the fall season, shrines and temples host a variety of moon-viewing events. 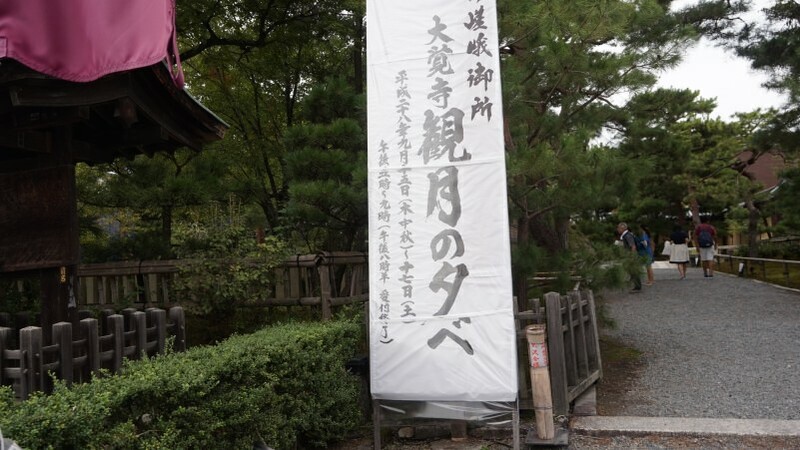 One famous one is the Kangetsu-no-yube event at Daikaku-ji Temple in the Arashiyama area. In this report, split over two segments, we focus on six key points to getting the most out of the Kangetsu-no-yube event. 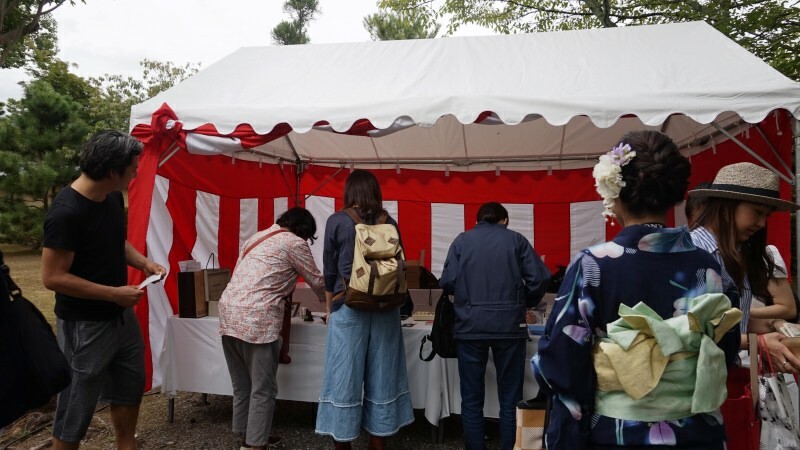 In the first installment, we describe how to enjoy the Arashiyama area, where the event takes place. □ Just what is a moon-viewing party, anyway? 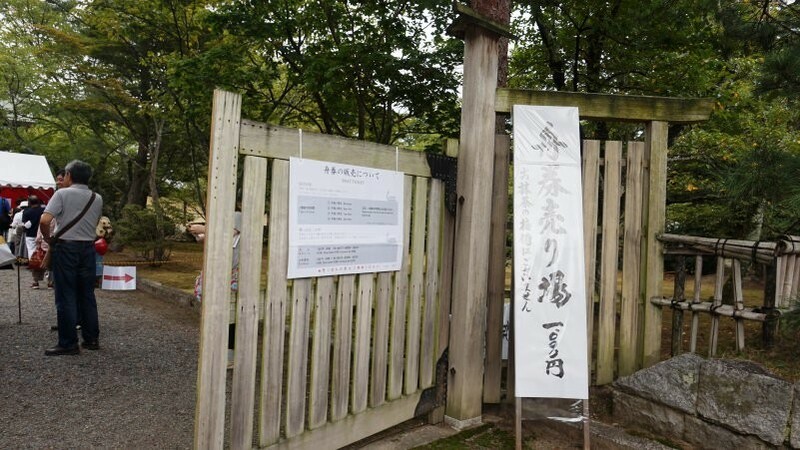 This event is held every year from 9/15 to 9/17 at Daikaku-ji Temple. Guests board what is called a Ryu-tou Gekishu boat and tour the waters under the beautiful light of the moon. Osawa-no-ike Pond is a large pond at Daikaku-ji Temple. The full moon reflects across its waters. In Japan’s Heian period (794-1185), the aristocracy enjoyed this refined entertainment. It’s considered chic to gaze not directly at the moon, but at its reflection in the water. 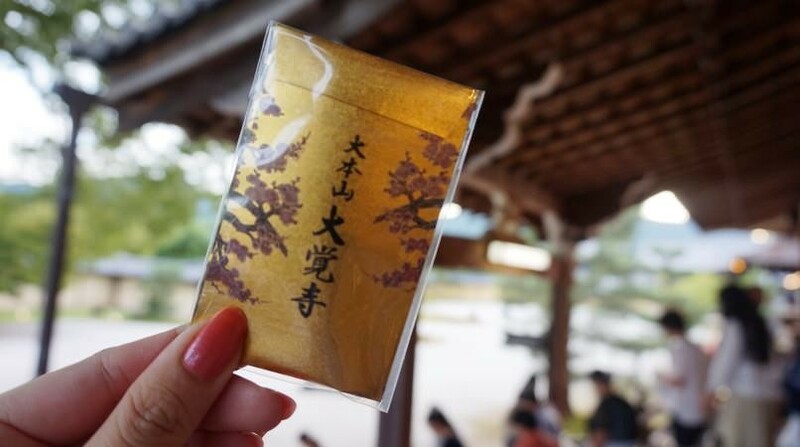 In this series, the Sharing Kyoto team share with you six ways to get the most out of the Kangetsu-no-yube event, a signature of the fall season in Kyoto. ① First, a delicious lunch in the Arashiyama area! 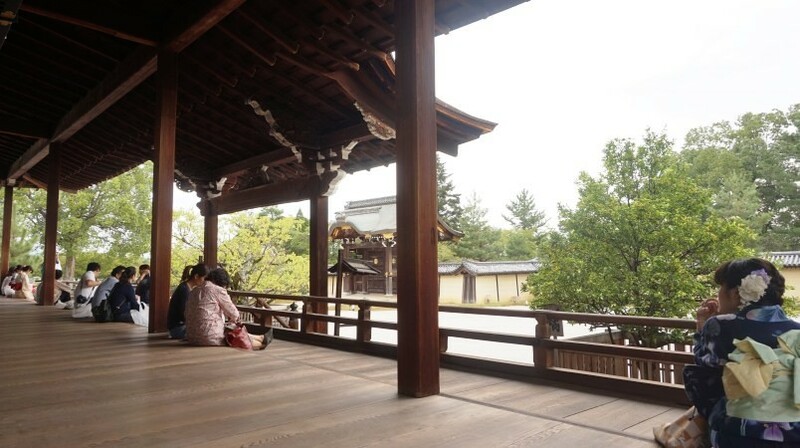 The moon-viewing party is held at Daikaku-ji Temple, which is in the Arashiyama district. The nearest station to Daikaku-ji Temple is Saga-Arashiyama. Nearby is the Saga “Romantic” Train, a classic trolley car that plies its way through the area. Arashiyama is a famous tourist destination in Kyoto and has lots of stylish cafes and restaurants. Since we’d come all this way, we decided to have a tasty lunch before heading to the temple. 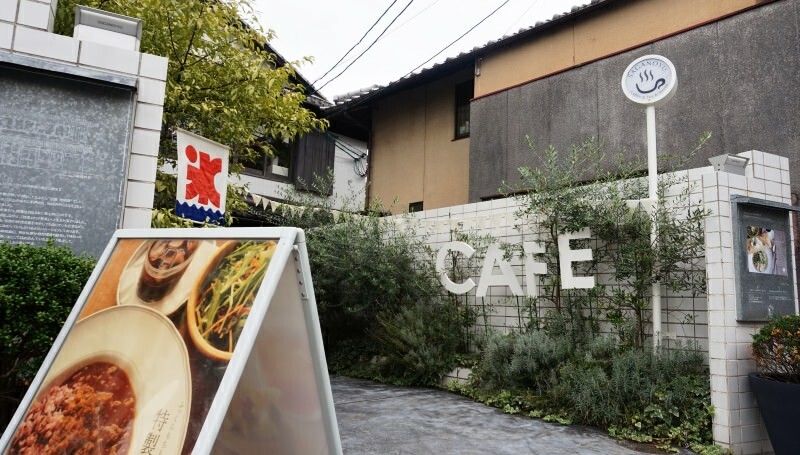 Our destination was Saganoyu, a cafe. Hey, it’s pretty stylish in here! 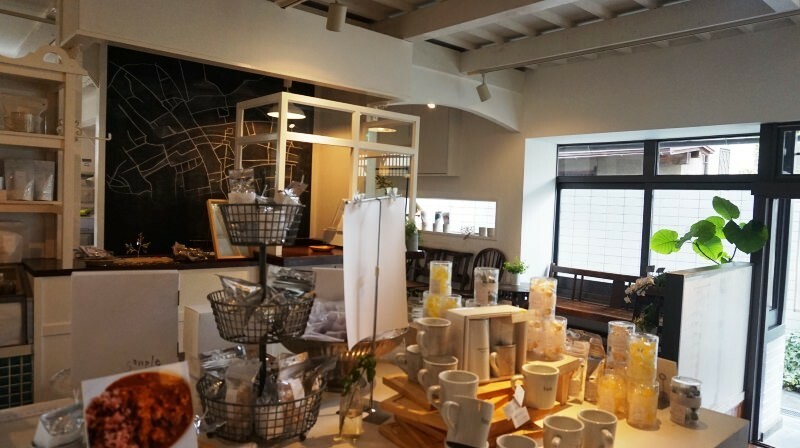 Incidentally, this shop was just three minutes from Saga-Arashiyama Station. 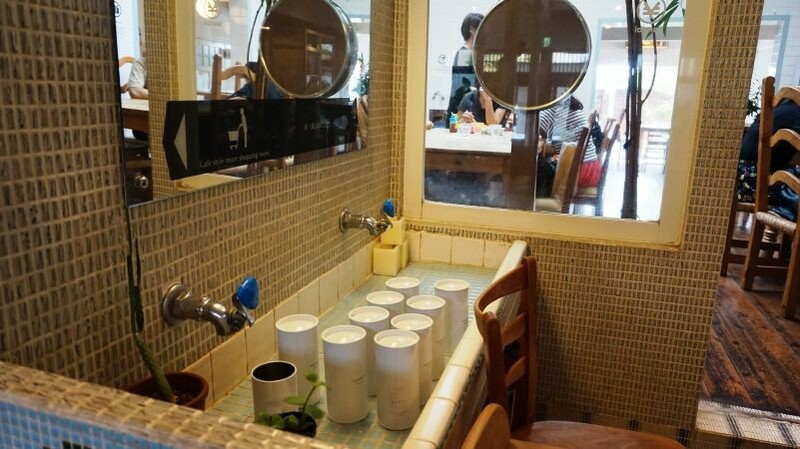 Apparently, this shop was formerly a public bathhouse! They overhauled it and turned it into a cafe, but subtle nods to its former self can still be seen throughout. 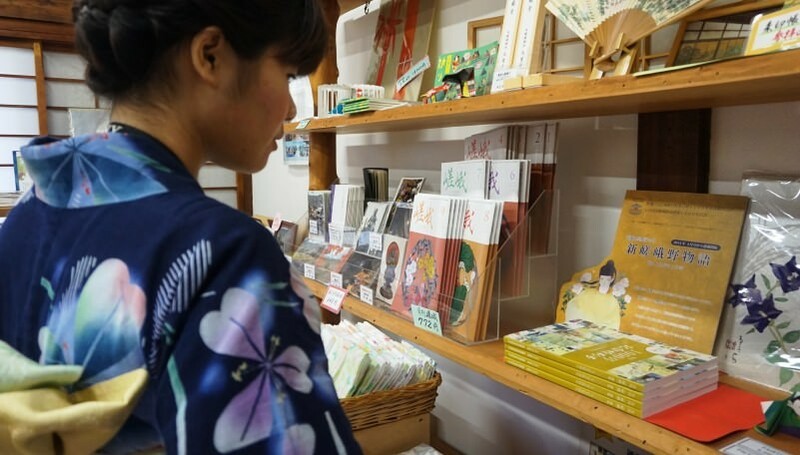 They also sell classic Japanese souvenirs like green tea and fried dough cakes. This means you can do your shopping right after you eat -- how convenient! 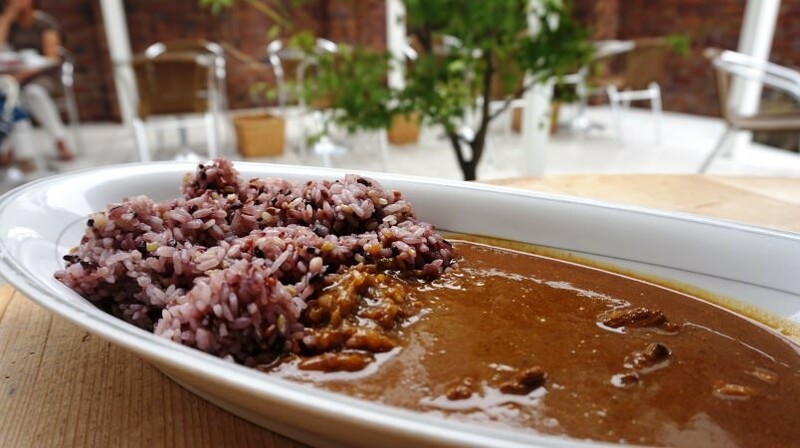 The Saganoyu curry. They use a very healthy 15-grain blend of rice. 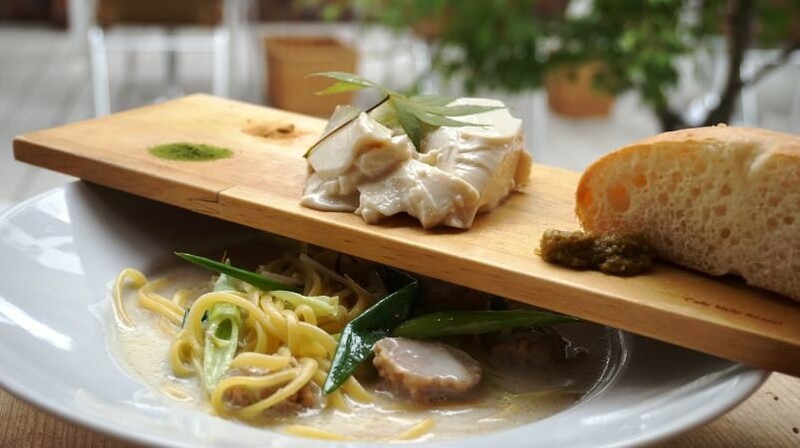 A tofu and pasta set. The tofu riding on top can be dipped in the accompanying citrus-sesame dip or green tea salt, or you could mix it in with your pasta. The tofu is rich, thick, and delicious! The meal concludes with a jelly and a range of green tea toppings. 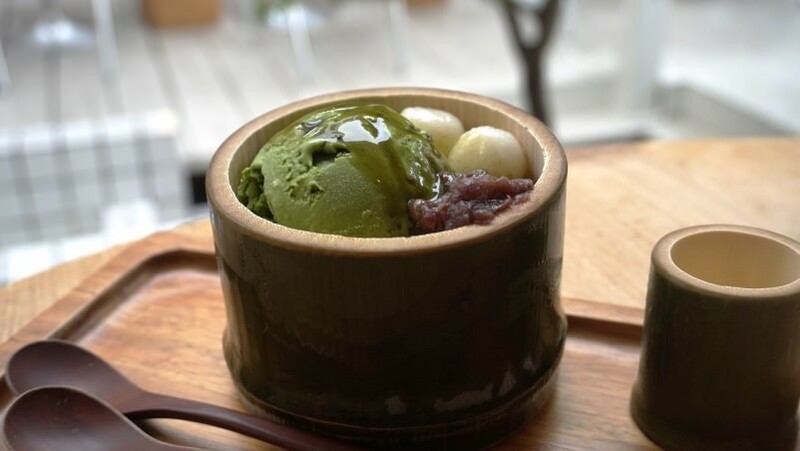 Underneath the green tea ice cream is green tea jelly! It was a very refined and subtle sweetness. After a delicious lunch, we were ready for action! 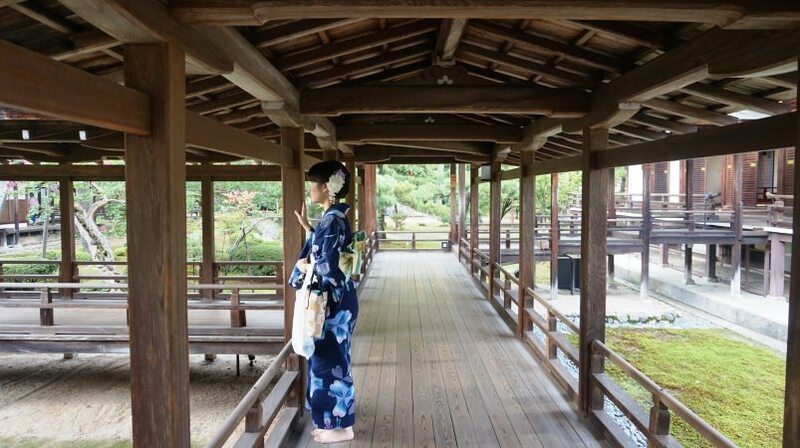 ② Time to don a kimono! Kangetsu-no-yube is an elegant occasion to ride on boats and see the moon. Seeking to get in a festive mood, we decided to go in Japanese clothes! 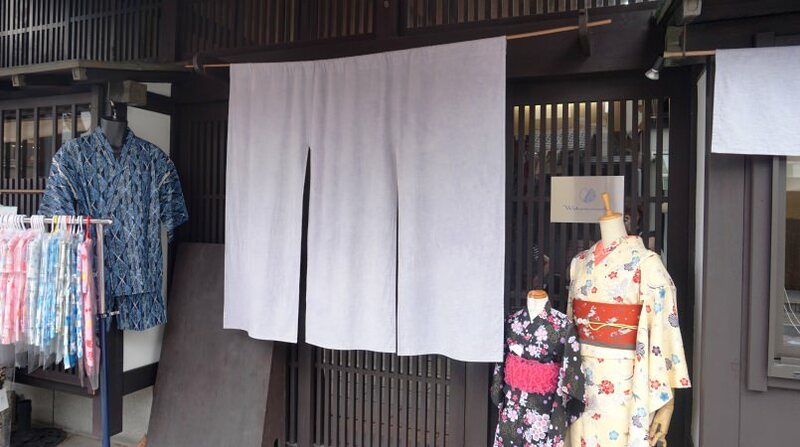 Kyoto has many shops offering rentals of traditional kimono and yukata, and the Arashiyama area is home to many of these. Erika gets excited to pick out her clothes. They have a huge variety, so you can pick your favorite pattern and style. We really struggled to make up our minds on just one. After picking your pattern, you select an obi belt and then they help you get fitted. 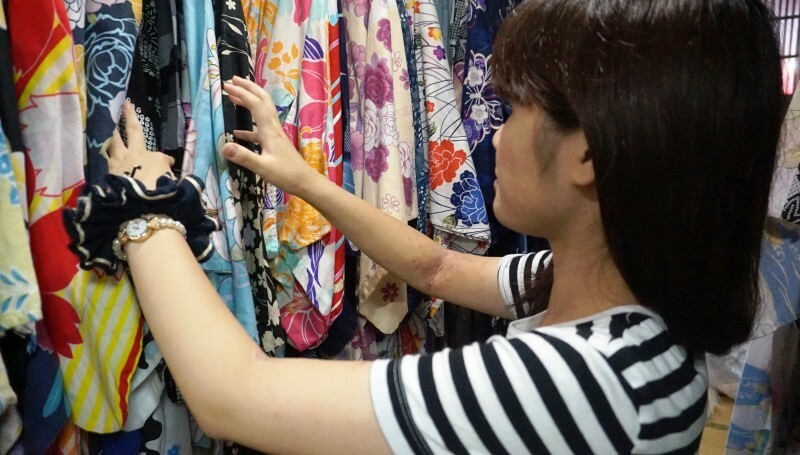 The proprietors were very friendly -- even if this is your first time wearing Japanese dress, have no fear! In 30 minutes, we were ready! Japanese dress is so cool and refreshing. 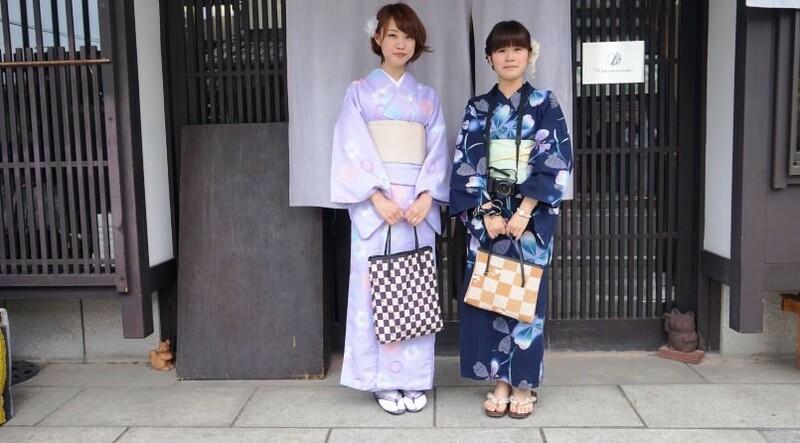 Erika, at right, wears a yukata. Shiho, at left, decided to go for the kimono experience! In addition to fitting your garment, they will arrange your hair for you. Following the meal, we changed into kimono and were fully ready for the main event! Time to head to the temple. 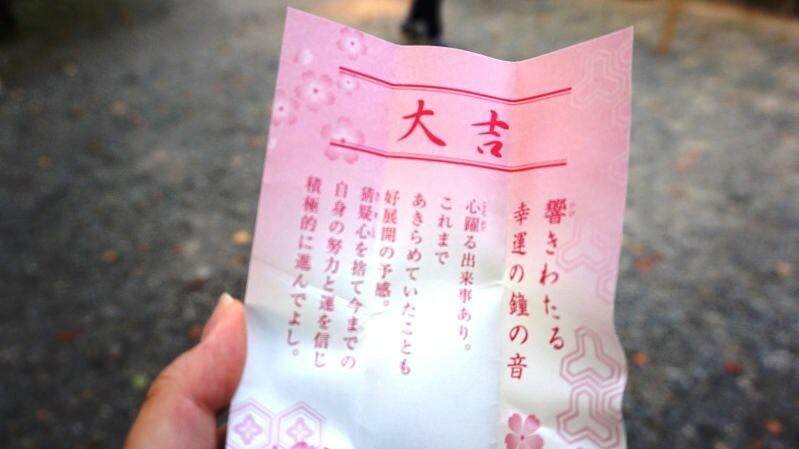 ③ Our next mission: buying boat tickets and touring the temple before our turn. 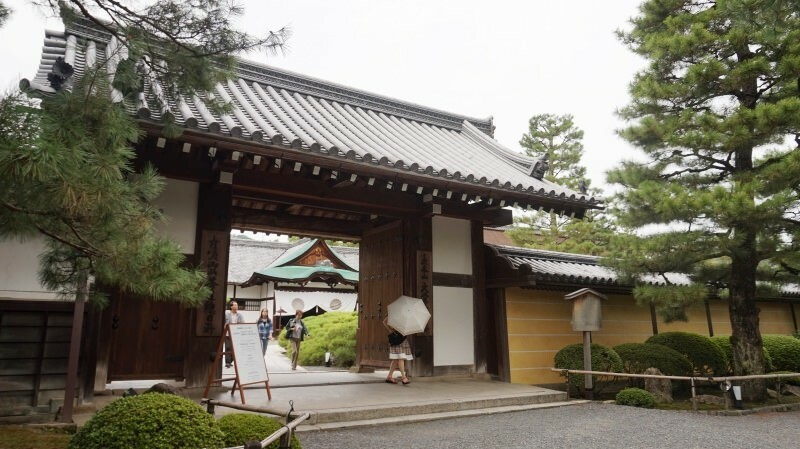 Daikaku-ji Temple is 15 minutes’ walk from Saga-Arashiyama Station. You can also get there in a quick five minutes by taxicab. We arrived at Daikaku-ji Temple at around 2:30 PM! We needed to buy tickets to board the boats for the moon-viewing, so that was our first destination. These are sold right nearby. After five minutes in line, we had our tickets! They go on sale every year at 3:00 PM, but lots of people line up early, so they sometimes go on sale ahead of schedule. At 2:40 PM, they were already on sale. Many people like to board the boats after sundown, so the 7:00 PM mark is the most popular. If you want to absolutely get tickets for your desired time, you’ll probably want to hit the temple at around 2:30 PM to be on the safe side. With tickets successfully in hand, we were ready. It takes quite a while for the boarding time, though. 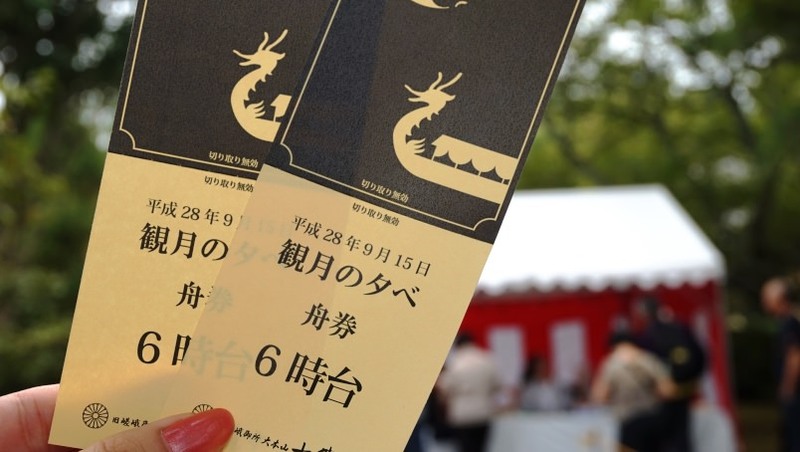 In addition to your boat ticket, you’ll need to buy an admission ticket to the temple itself (¥500). This gives you a perfect opportunity to tour the temple before your boat takes off. The temple is very spacious, and we found lots of people relaxing inside. Sitting on the exposed veranda and relaxing is one great idea. The spacious corridors. This corridor is called the “Corridor of Passing Rainshowers.” It’s really moving to think that people of the past actually walked these halls. There is also a souvenir shop on the grounds of the temple. They even sell special items limited to the moon-viewing party. With so much neat stuff, you won’t tire for choice! 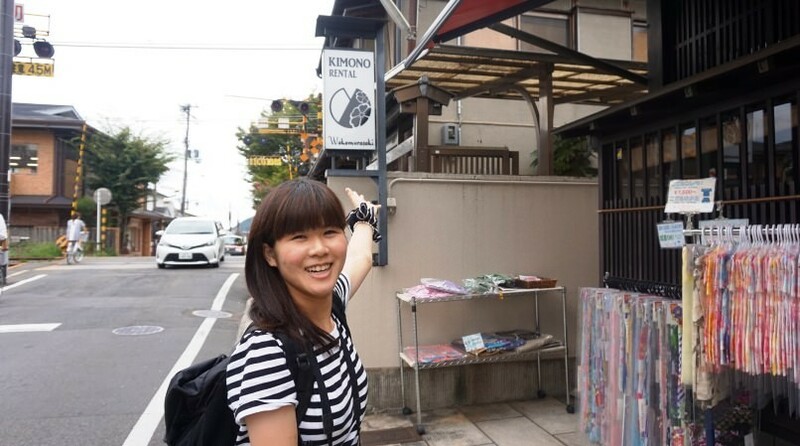 Shiho bought a sweet with chestnuts in it. They had a spot to draw fortune slips, so we tried our luck. This fortune is exclusively for the ladies! 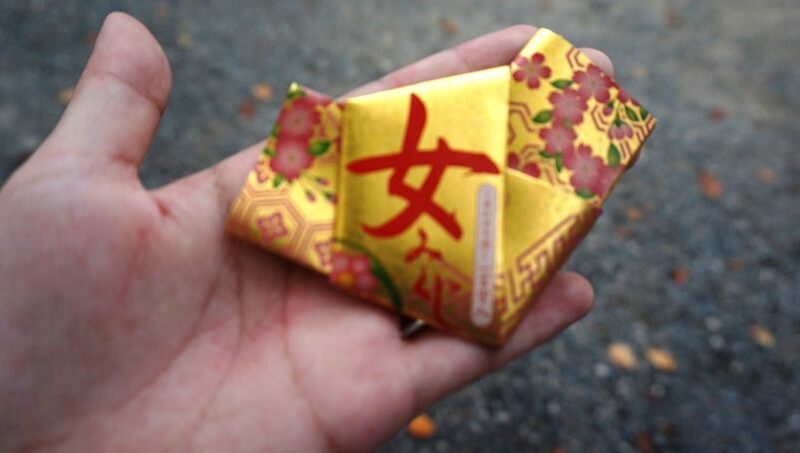 They also had a “men’s fortune,” so it might be fun to compare with your friends and see what you get! Very good luck! This is a good omen. By the way, Shiho drew a separate fortune. The result: future good luck. If you don’t get the results you’d hoped for, tie up your fortune and call it a day. There’s a spot on the grounds where you can fasten your fortune, of course! Having had a blast at Daikaku-ji Temple, we decided to end this installment here. In the second half, we bring you a report focused on the Kangetsu-no-yube event itself! This event was as fun to watch as it was to be a part of! I’m so glad I went! 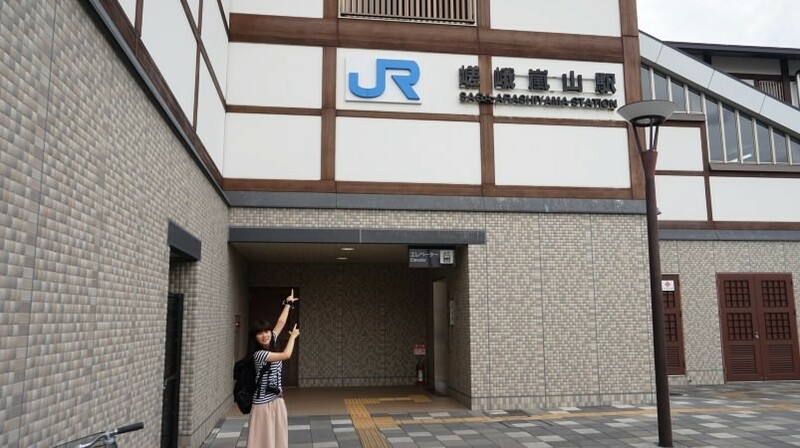 Saga-Arashiyama Station, the nearest stop to Daikaku-ji Temple, where the Kangetsu-no-yube event is held, is home to a range of nearby tourist destinations. Before going to the moon-viewing party, you should definitely check out the surrounding sights! Erika wore a yukata, and I opted for a kimono. Both pair really well with a moon-viewing party, so they’re great if you want to really get in the mood for the festivities! 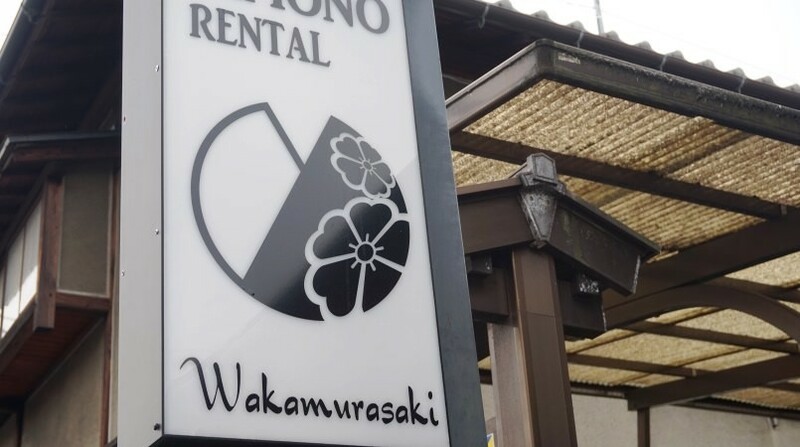 There are lots of places in the Arashiyama area offering kimono rentals for reasonable prices, so you should definitely try it out!